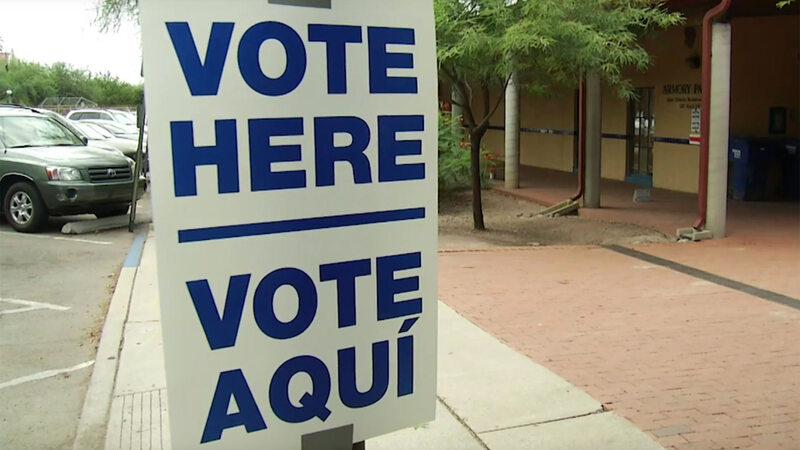 PHOENIX — The number of registered voters in Arizona has grown since last November's election. Secretary of State Katie Hobbs announced Monday there are currently about 3.8 million active voters in Arizona. That's an increase of about 66,000 active voters since the general election two months ago. Arizona now has about 1.3 million registered Republican voters, more than 1.2 million independent voters, more than 1.1 million Democratic voters, about 32,000 Libertarian voters and some 6,600 Green Party voters. Hobbs says there are nearly 525,000 inactive voters in the state. Inactive voters still are eligible to participate in elections. But they are labeled inactive if there are questions about the accuracy of their registration information and they aren't able to receive official election-related mailings.